5.11 Slip Stream Over The Calf Socks feature NanoGLIDE® fiber construction to deliver maximum comfort. NanoGLIDE® virtually eliminates friction and chafing while the moisture managing breathable weave keeps your feet cool, dry and comfortable. 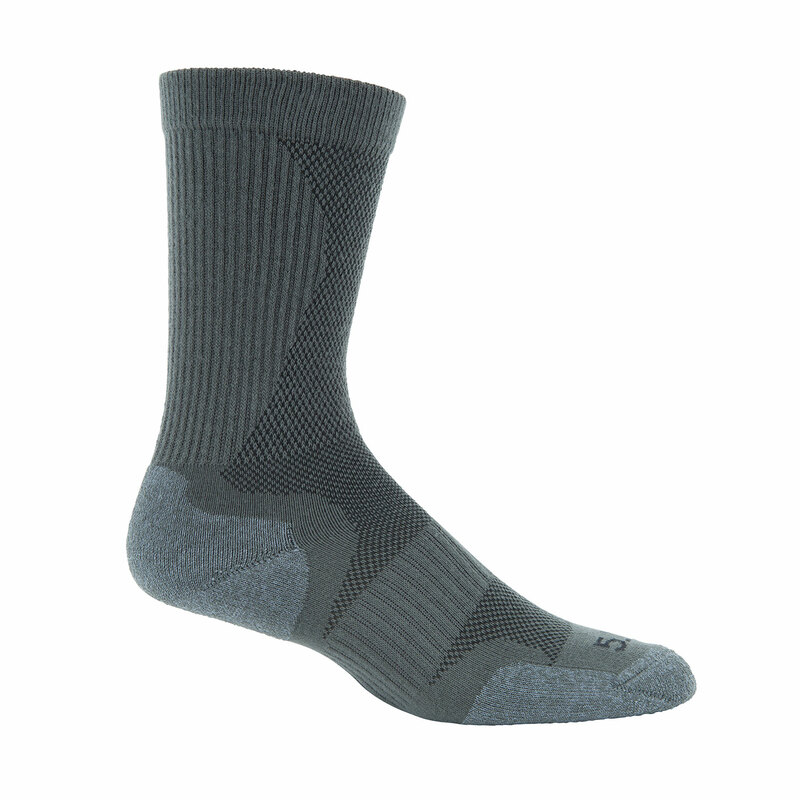 A compression arch band adds support and decreases foot fatigue over long shifts. Reinforcement at the toe and heel ensure long-wearing reliability.